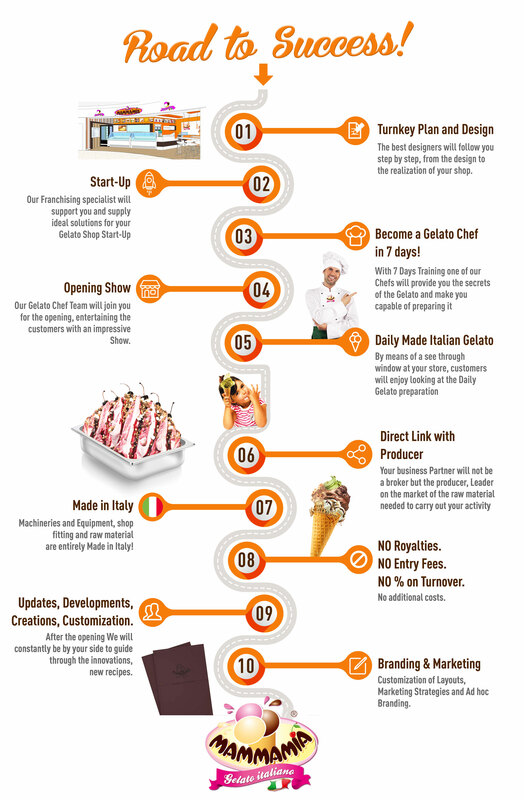 Italian Gelato in the World. 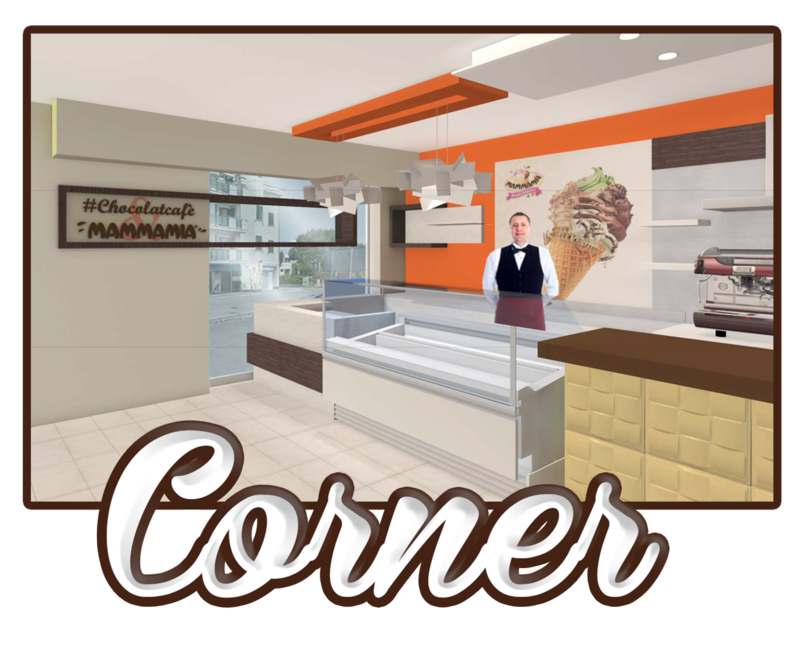 The range of products that can be combined with Mammamia ice-cream is rich in delicacies prepared for the customer, quick to produce, served hot: cone waffle, cocoa cone pod, black & white cone waffle, cone granules, crepes, pan cake, waffle, tulip waffle, tulip-shaped waffle (also miniature version), caprese cake … and other delicacies: banana split in waffle, brioches, milk shakes, cream of grandfather, granita. In this case Mammamia has a wide range of innovative and classic tastes, but unique in taste and characterized by craftsmanship. In the vast offer we distinguish four tastes awarded internationally with the Taste Award: Variegated Amarena (3 stars, Crystal Taste Award), variegated apricot of Vesuvius, Variegated Pistachio Crunch, Hazelnut. 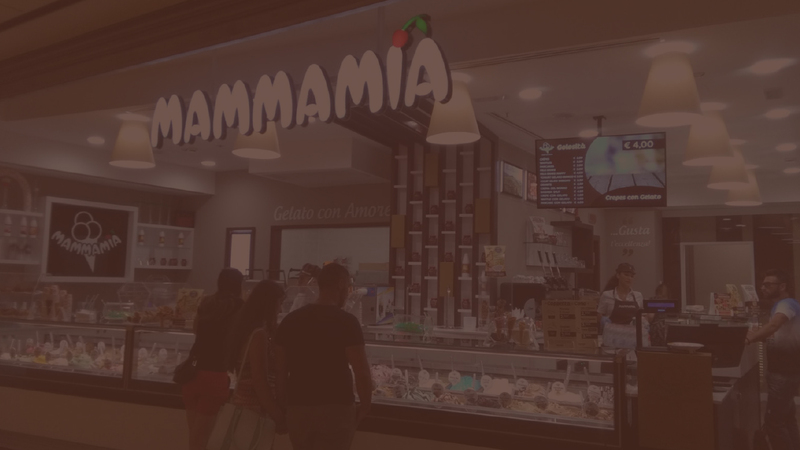 Mammamia Gelato Italiano semifreddos are various in shape, colored and handmade: cakes, single portions, mini glasses, stick, boccaccio, taco, bacetti love cones; to be enjoyed comfortably by us or by walking. Order your birthday cake at the store closest to your home. 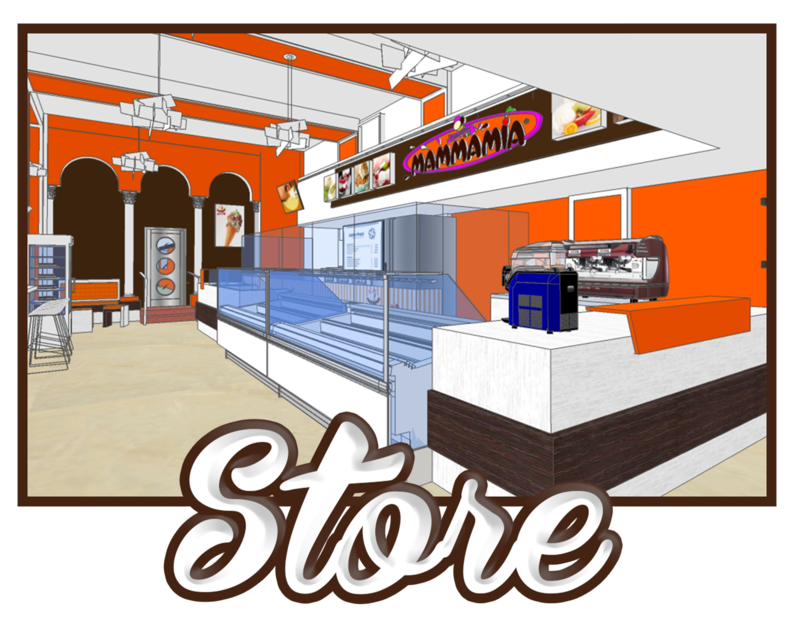 For coffee lovers, Mammamia Gelato Italiano offers not only the classic espresso, but a variety, from coffee to hazelnut, chocolate, white chocolate, to caramel; frothed coffee, milk and coffee. 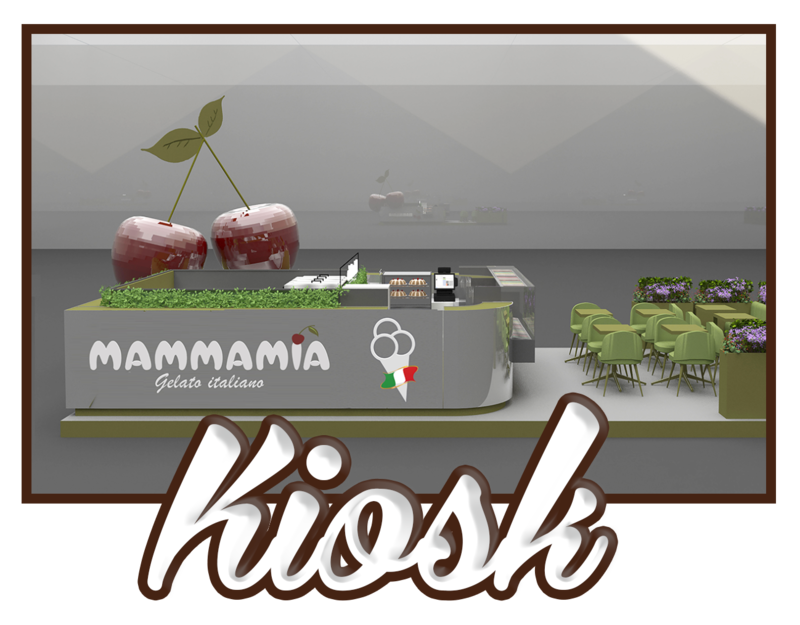 Mammamia Gelato Italiano is our project of artisan ice cream franchise. 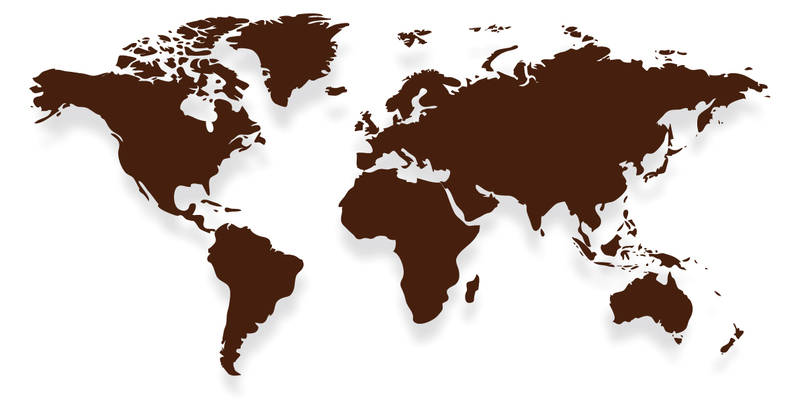 Present now around the world: Malaysia, India, Luxembourg, Iraq, Italy, Portugal, Dubai, Oman; it includes “turnkey” design and set-up, a simple commercial contract, a contract term of 5 years, no royalty on the turnover, ownership of any goods purchased, no restraint or loan for use. 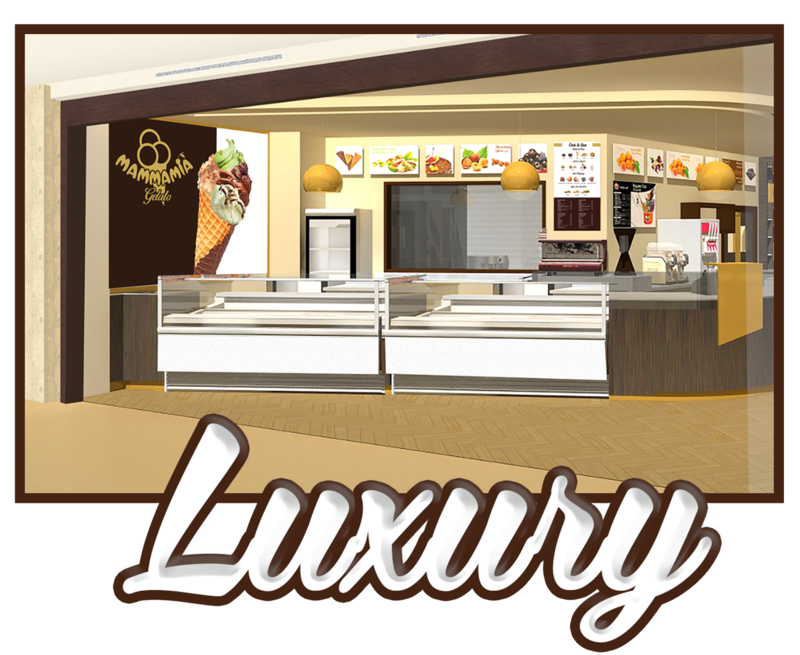 The assortment of goodies is varied: homemade ice cream, cakes parfaits, single portions, mini glasses, love cones, waffles, crepes, pan cakes, tulip waffles, banana split, coffee-drowned ice cream, milk shakes, coffee shop. 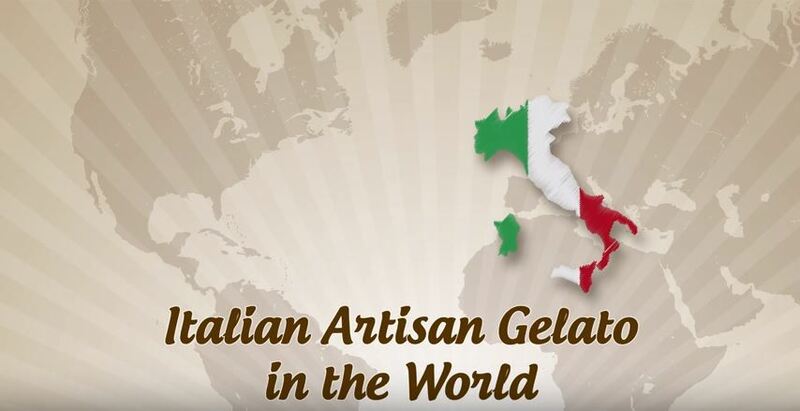 Artisan ice creams with creams and fruits, variegated and winning ingredients of the Crystal Taste Award, among which: black cherry (3 stars), hazelnut, pistachio crunch, apricot of vesuvio.